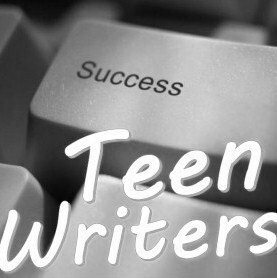 While conducting a writing workshop for teens, I encountered a 14-year old boy who didn’t interact in discussions or make eye contact. 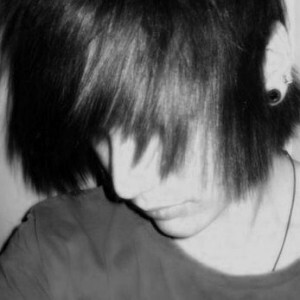 His jet black hair covered his face Emo-style leaving only piercings and tattoos visible. After giving instruction followed by an exercise, I walked the room for individual questions. The boy was silent, sitting like a statue with black-nailed hands in his lap. A notebook was perched atop the desk opened to a blank page harboring a lonesome, loitering pen. Kneeling next to him, I asked him about his writing experience. His head upturned toward me, and I imagined he was peering through the thick locks that hung over his face like a sheepdog’s. “Do you ever write just for yourself?” I asked. The mop of locks slowly swayed from side to side as he turned away. I thought of how some teacher, some parent or sibling, even some friend – a saboteur of his creativity and expression – had not liked what he wrote for some reason, then put him down, teased him, maybe lowered his grade. He believed this person was right and himself to be very, very wrong. Unrepairable. I picked up his pen, handed it to him, then tapped the paper and said, “Please, can you give it a try?” He tilted his head down, and the screen of hair fell upon the page like a final curtain closing on a poorly reviewed production. When I came around a few moments later, I asked how it was going. Without saying a word, he handed me the notebook. On it was scrawled, “I want to write more.” He wasn’t ready to say he was a good writer, but with the saboteur hammering on the walls inside his mop-topped head, he’d made incredible progress. With five words, he showed he was willing to face his fear and express his thoughts in writing. With barely detectable fervor, his head bobbed and the curtain shimmied like a musician playing a slow jam. His arm was moving across and down the page. I wondered if he was drawing, but never got a chance to look inside the curtain until a magic moment when it lifted as his head came up to face me. There on the page were words, row after row of words from a teen experiencing freedom. I hoped he could see my encouraging smile.